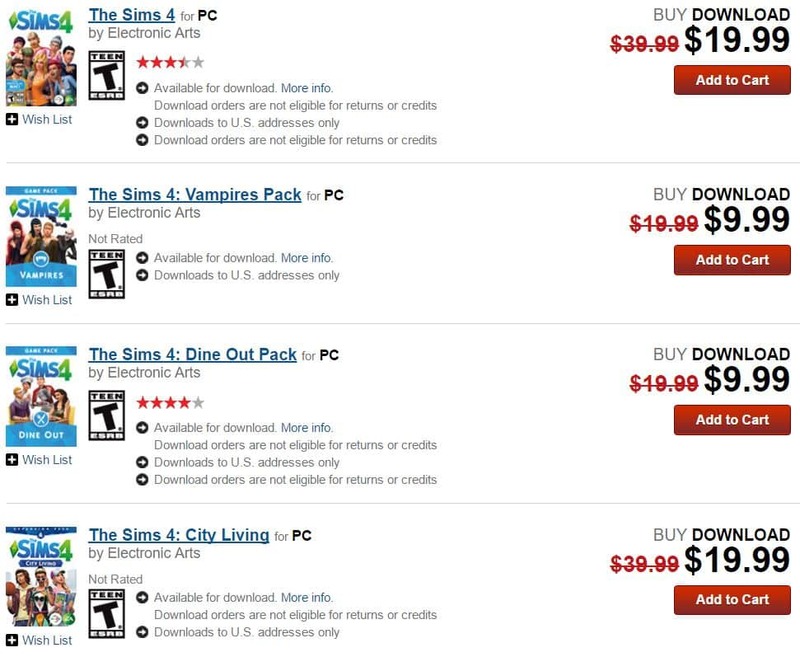 Gamestop is having a sale where you can get The Sims 4 Expansion Packs and certain Game Packs for 50% off! That means that Expansions are now at the price of Game Packs and certain Game Packs are now at the price of Stuff Packs. Sadly, this offer (and the entire site altogether) is only available for the residents of the United States. Offer ends on June 26th.